AMEND represents patients' voices within 2 European Reference Networks (ERNs) that aim to improve access to expert care throughout member states. The two ERNs, ENDO-ERN and EURACAN, cover all the diseases and disorders that AMEND covers, as well as a few additional rare diseases. All this is at risk thanks to Brexit. NET Cancer Day is held annually on November 10th. 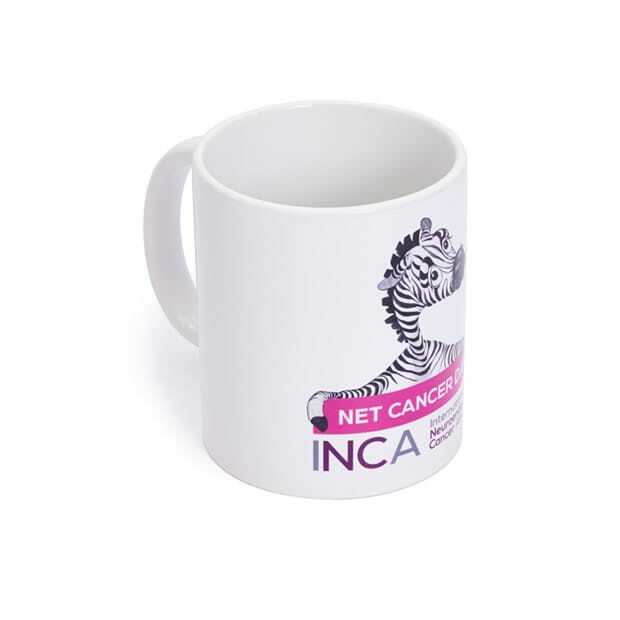 Hold a NET Cancer Day Coffee Club this November at your workplace or home for friends and family, and we'll send you a free Netty Zebra NET Cancer Day mug! 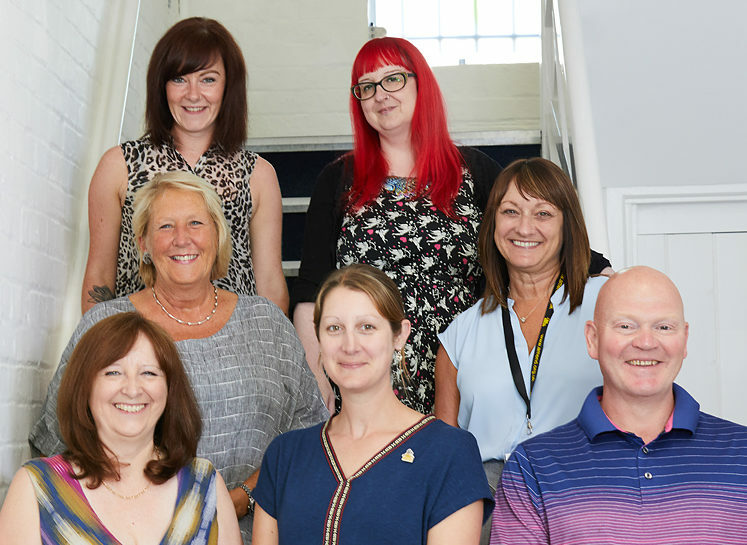 Thanks to our 8 excellent new Regional Volunteers, peer support will be made available more locally to many people living in the UK. Each Regional Volunteer will organise regular peer support group meetings in their region, which they will facilitate, and which will also provide sign-posting to AMEND's information resources and other support services. 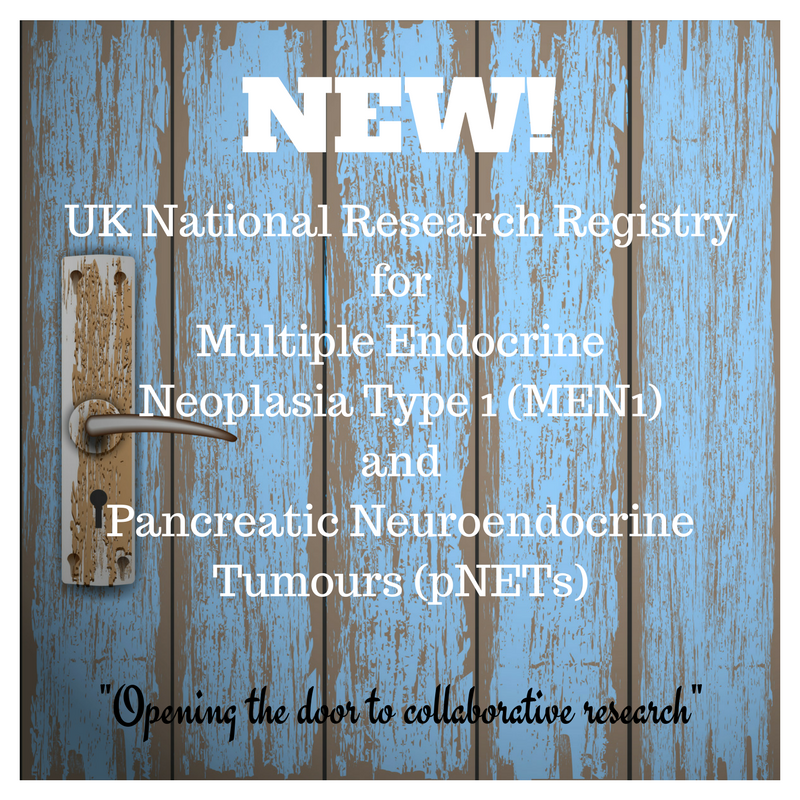 The UK's National Research Registry for MEN1 and Pancreatic NETs is now operational. The Registry team will be creating a Database of patients' medical information to be used in future research. If you are a UK MEN1 patient and would like to find out how to register, please visit our webpage. AMEND is delighted to be working closely with the team on this vital research initiative. 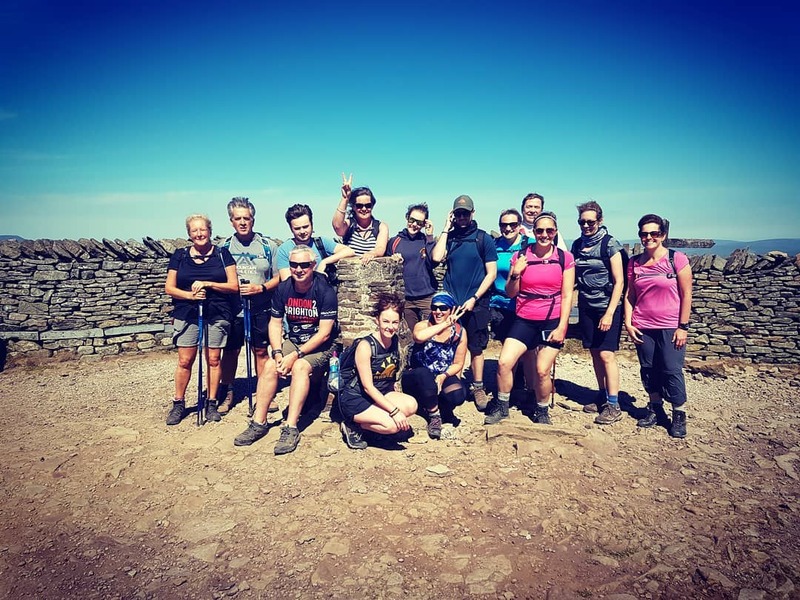 Yorkshire 3 Peaks Team Smashes Challenge! On the weekend of 30 June and 1 July, AMEND's 13-strong team battled 3 mountains in searing temperatures and no shade. Nevertheless, despite blisters and aching muscles, they did it and in the process managed to raise a whopping £13,000! Massive thanks to our Team, to everyone who sponsored them. Thanks also to the Discover Adventure Leaders, Vik and Mel, and to our support doctor, Alison. Aged 13-21 and have MEN1, MEN2A or MEN2B? Free on the weekend of 6/7th October 2018? Like Rollercoasters? Come and volunteer for our Project Rollercoaster workshop on being a young adult with MEN to help us develop resources for this age-group. Free day at the theme park is the reward! You can now buy your tickets to AMEND's 15th Birthday party! 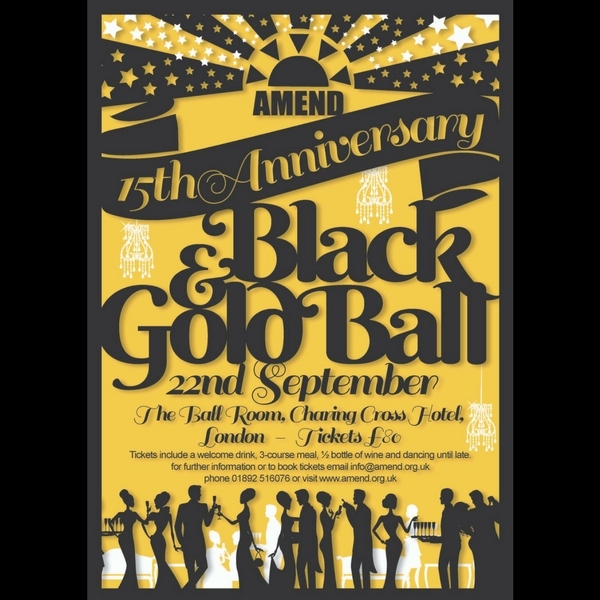 The 2018 Black & Gold Ball will be held on Saturday 22nd September 2018, at the Amba Charing Cross Hotel in Central London. Tickets include a 3-course meal, 1/2 bottle of wine, welcome drink and dancing 'til late. Save £40 when you book a table of 8. Notice of AMEND's 2018 Annual General Meeting which will be held on Saturday 12th May at the NCVO, 8 All Saints St, London N1 9RL from 12:15pm. The April newsletter has today been sent out via email to all registered AMEND members. If you would like to receive your free newsletter, simply register for our free membership. 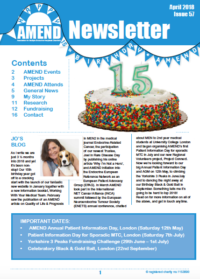 This month's edition highlights our new website, updates on Project Rollercoaster and Project Connect and brings you news on all the exciting events and activities planned for 2018 - AMEND's 15th birthday! The UK National Research Registry for MEN1 and pancreatic neuroendocrine tumours (pNETs) is now collecting patient data. Patients can sign up to our specific mailing list in order to receive more information shortly about how to notify their specialists to get involved.